Click the button below to add the Thin Hair Treatment #Thin Hair Loss Treatment# to your wish list. Our Thin Hair Treatment will penetrate strands to give your hair volume, fullness and vibrancy. The blend of plant oils and extracts are loaded with nutrients and vitamins that penetrate the cuticles to weightlessly smooth out damage while promoting healthy hair. This product moisturizes thin hair from the inside out, leaving it with shine, strength, and fullness. Can be used on both men and women and works for all hair types and textures. Creates volume while moisturizing hair. Made with pure ingredients from nature that will restore and grow healthier looking hair. Relieves dry and irritated scalp to promote hair health. Essential oil and plant derived ingredients will give hair strength, elasticity and softness. Olive and Coconut Oil moisturize and rejuvenate dry, damaged hair to make it full, smooth and shiny. Pumpkin Seed Oil contains vitamin A, E and K, which thickens strands and stimulates hair growth. Avocado Oil is perfect for moisturizing dry, brittle and damaged hair. It contains many nutrients such as Vitamins A, B, D, E, protein, amino acids, iron, copper, magnesium and folic acid. Camelina Oil is high in Omega-3 and Vitamin E, which assists the skin as a moisturizer. 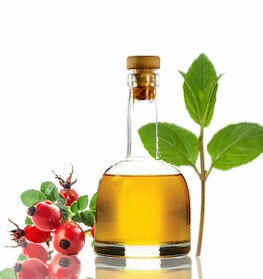 This oil also moisturizes the scalp to get rid of excess flakiness. Rosehip Oil is well absorbed by the scalp to keep it moisturized and soft. It has essential fatty acids to repair and renew damaged hair. Borage Oil has Omega-6 fatty acids that promote healthy skin and hair. 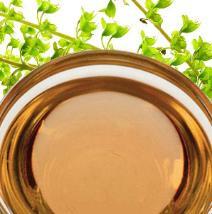 Perilla Oil is enriched with Omega-3 fatty acid to aid hair growth. Peach Kernel Oil has Vitamin A and E, which adds suppleness to hair. Massage it well into the scalp. Leave it on for 2 to 3 hours or overnight. Shampoo, condition and style hair as usual. Great as a leave-in serum. We suggest that you combine this serum with our Thin Hair Shampoo and Conditioner. This product can be used as a hot oil as well. Heat water in a small bowl and let the bottle sit for a couple minutes. Then, apply to the scalp after shampooing. Leave in for 2 to 5 minutes. Rinse it out with lukewarm water and then proceed with conditioner. This product can be used twice a week. It can be used more often depending on your hair care regimen. My hair, which is quite thin and fine, feels fuller after I the thin hair product. I feel that my hair is thickening each time I massage it in. I find far fewer hairs in the sink than before. My hair is noticeably thicker and others have commented the same as well. This product has thickened my hair tremendously. I have very fine baby soft hair. My ponytail looks so much fuller and I love the scent of this product. Bought this for my daughter, who has very thinning hair, for Christmas, so no report for now! Good product and my hair looks awesome. My hair feels thicker and looks fuller when I use my styling pomade. I don’t notice any bald spots anymore which is remarkable. If you suffer from balding please take my advice. This is my second time buying this product. I was constantly using a rubber band for my man bun and after a year of doing it I noticed my hair becoming thinner and falling out. After using this product for 2 months I began noticing significant growth. Worth the expensive price. I saw a little bit of added thickness while using this product. I am two months in so far. At this point I would recommend it. Hopefully the results will get even better! First and foremost, I love this product. Its not thick or sticky like other I’ve used before. To some the smell is potent but I actually enjoy the natural smell. I will admit since using this I have begun to notice my hair beginning to fill in again. My favorite thing is how soft it has made my hair feel. Ok, so I was skeptical about making this purchase. First, because of the price tag and second I had never purchased from this company. I still believe its pretty expensive but I have noticed my hair beginning to fill in. My hair looks healthier than ever! I’ve been using this product on my scalp and ends of my hair in the attempt to thicken it and nourish my scalp to prevent any further breakage. This product has accomplished both. In the last two months my hair has felt fuller and looked healthier. So happy full satisfied with my purchase. Not to happy about the smell. It really does linger and I was at work and someone asked me what that smell was, and I knew it was my hair. Regardless of the smell, I can say with confidence that this has really helped me regrowth my hair back in a matter of a few months. Will definitely buy again. Once I hit my 40’s my hair began thin, especially around the edges of my head. I tried a few products with not results. After a month of use I see all the formerly thin spots now filling out and my hair looking thicker overall. I will be buying this again! Full of hair and full of confidence! Growing up my hair was thick and full. But the last few years I noticed it feeling thinner when I would run my fingers through it. My barber had suggested Just Nutritive to help regrow my hair. This product definitely did the trick. Thank you David for the recommendation!